Keep in mind that “reviewers should keep over 70% review rate to get discounted products continually”, so be sure to review the items they send you! This is bit lower than others such as I Love to Review where if you don’t review one item your account is locked until you do so. Let’s be real: your review rate should be 100%. They have a huge marketplace to choose from. At time of writing I saw a ton of clothes and handbags, but they have categories for a lot of other items too. Sign up is pretty straight forward and easy—no mandatory facebook login/link or anything out of the ordinary. Same company as Amazon Review Club? We have 4 different features from most other review sites. we have an ads program, so sellers keep their listing displayed in the main page without going next page. We update reviewer’s feedback rate because review rate should be maintained over 70% by reviewer to request review continually. We support seller’s Amazon PPC campaign by providing keywords research service. We help their listing shown in Social Media (Facebook, Twitter, Instagram, Pinterest) that have huge target audience. This easy to set up and will keep posted how everything is going. Seem to really have a lot of smaller women’s clothing and beauty ad right now will keep watch and see what will be offer later on. Thanks for giving us this awesome chance to introduce our review site. We are providing best of best discounted products and deals continually. 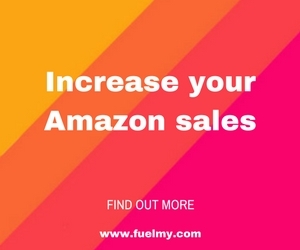 Join as a seller and enjoy Amazon sales boost ! Hi.. are you planning on branching out to the UK with your site? Our site is totally free.Easy to upload all your promotion. Of course, Buyers can use our site freely. Signed up – but never received the account activation email! We’re really sorry for your inconvenience. We are currently providing Unlimited Time Free Seller Plan. BestOneReview has reduced unnecessary tools that sellers build up product reviews quickly and get sales boost effectively. We focus on getting sellers have qualified reviews from thousands of reviewers for unlimited time quickly. Check our new seller’s free membership plan. Q : Amazon changed its Product Review Policy. Does your site abide by Amazon policy so that sellers can continue to list their discounted or free products? A : Of course We asked Amazon Legal Team to review our site if there are any issues to keep us providing this service to sellers and buyers. Amazon Legal Team gave us the exact and perfect guideline. we followed all their suggestions.so our site is very safe site that sellers can list their discounted product or free item. It is no problem seller list discounted or free product in our site. Q : I am a seller. What kinds of pricing plan do you have? Q : I am a seller. Do you have any way to keep our list in the front page or to make our seller page accessible directly? A : Yes. We have 3 Advertisement Program to do so. there are advertisement and campaign menu for this in seller page. when shoppers click the banner, shopper can go to seller page directly. when shoppers click this featured seller banner, shopper can go to seller page directly. This ads program is the awesome feature that only bestonereview has for seller’s efficiency and convenience. Q : What is the main difference of bestonereview among other sites? A : We have totally free program only for sellers to promote seller’s sales on Amazon. 1. We are totally free. Seller can upload products unlimitedly and add up to 300 products to Deal club list with totally super free program. 2. Sellers can build positive brand value from thousands of shoppers in a short time. 3. SHOPPERS ARE NOT REQUIRED TO LEAVE A REVIEW FOR ANY PRODUCT Shoppers GET FROM BESTONEREVIEW. BUT IF SHOPPERS CHOOSE TO REVIEW, A DISCLOSURE IS NOT NEEDED. 4. We simplify all steps to build seller’s brand value by reducing all unnecessary steps or programs to promote sellers’ sales volumes. 5. we have advertising program to promote seller’s products more efficiently. 6. we are optimizing our site’s speed so that sellers and shoppers don’t have big trouble in accessing or uploading products or requesting Deals. Q : How to join as shopper? Q : How to join as seller? Q : What is ads program for sellers? 1. Main Banner Ads 2. Featured Product Ads 3. On each sellers page, seller can apply these ads program at any time. Q : How to upload product and Deal club list in seller page? A : It’s so simple. This process consists of just 3 steps. 1. add a product from seller’s page 2. Select products up to 300 that you want to add to deal club list. Q : I am a shopper. How to get promotion code from seller? Q : I am a shopper. Do I have to leave feedback after getting discounted product? Q : What is the guideline of Amazon Review? Q : How to contact BestOneReview Team? The products are ‘discounted’ by over-pricing them, and then ‘discounting’ them to the real price. These sellers aren’t after reviews, they’re just looking to sell to gullible buyers.